We help online community managers to increase their revenues. 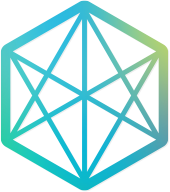 We are a Cayman Islands based online community studio. We develop tools and software that deliver the best user experiences to a global network of online communities: blogs, forums, with a focus on mobile devices such as smartphones and tablets. 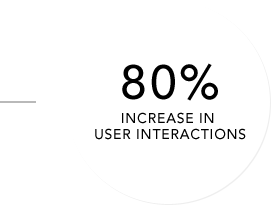 We focus on creating engaging platforms keeping user engaged throughout their lifecycle. Our goal is to help forum owners improve their communities from both a user-growth and engagement perspective, while also providing increased monetization options. 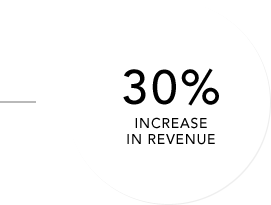 Our Partners typically experience average increases of 40% on their mobile revenue from premium placement advertisers and optimized network waterfalls. As a user of the Versatile product suite, Topify, you can expect to monetize your mobile inventory through link rewriting techniques and through mobile advertising. Engagement is key to online communities growth. Sites that have enabled our platform on average see an increase of 20% in the number of pageviews per mobile user. 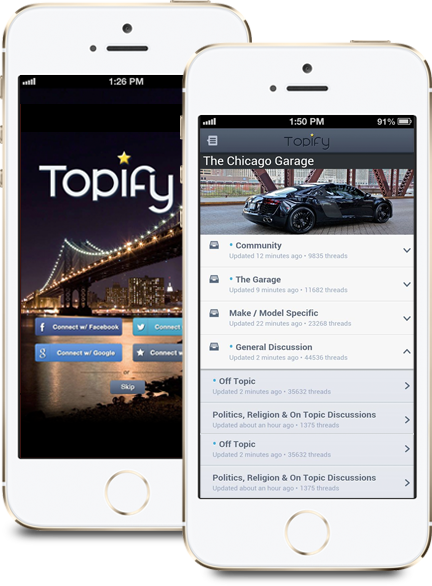 Topify was built to overcome the challenges of discovering and experiencing your favorite forums on mobile devices. Topify is completely free. There is no cost to integrate your forum. No cost to your users means more potential members ! Don't send your traffic into a black hole. Integrate your own Google Analytics ID. Even without your own Google account, track and analyze your traffic on a custom Analytics Dashboard at Topify.com. We employ a team of expert mobile developers, quality assurance and community experts in the development of our mobile product. We are always looking for fantastic new candidates to join the Versatile team! Please see our job opportunities below. Versatile Solutions (Topify) is actively seeking a iOS mobile developer. Must have experience with communities and social networks. In accordance with the Digital Millennium Copyright Act of 1998 (“DMCA”), the text of which can be found on the U.S. Copyright Office website at: http://www.copyright.gov/legislation/dmca.pdf, we will respond to notices of alleged copyright infringement that comply with applicable law, are committed using our sites and services and are properly reported to our Copyright Agent identified below. Identification of the copyrighted work you believe to have been infringed or, if the claim involves multiple works on a Website, a representative list of such works. The URL or Internet location of the materials claimed to be infringing or to be the subject of infringing activity, or information reasonably sufficient to permit us to locate the material. A statement that the information in the written notice is accurate, and under penalty of perjury, that you are authorized to act on behalf of the owner of an exclusive right that is allegedly infringed. Please be aware that if you knowingly materially misrepresent that material or activity on a Website is infringing your copyright, you may be held liable for damages (including costs and attorneys' fees) under Section 512(f) of the DMCA. You may want to consult an attorney before taking any action pursuant to the DMCA. Your name, address, and telephone number, and a statement that you consent to the jurisdiction of federal district court for the judicial district in which the address is located, or if your address is outside of the United States, for any judicial district in which the service provider may be found, and that you will accept service of process from the person who provided notification under DMCA 512 subsection (c)(1)(c) or an agent of such person. Upon receiving a counter-notice we will forward it to the complaining party and tell them we will restore your content within 10 business days. If that party does not notify us that they have filed an action to enjoin your use of that content on our Website before that period passes, we will consider restoring your user content to the site. It is our policy to close the accounts of users we identify as repeat infringers. We apply this policy at our discretion and in appropriate circumstances, such as when a user has repeatedly been charged with infringing the copyrights or other intellectual property rights of others. We may disclose any communications concerning DMCA Notices or other complaints of rights violations with third parties, including the affected users, the rights holders, and third party databases that collect information on DMCA Notices.